With such considerations, we have exercised stringent due diligence on email partners to ensure they meet the guidelines set out above and in GDPR. Email partners must pass this due diligence process to work with us and our clients. Email marketing is a fantastic opportunity to drive leads for clients, we work on a performance only basis, email marketing works best on one of the following payment metrics CPL (Cost Per Lead), CPM (Cost Per Thousand Impressions) and CPC (Cost Per Click). If you’re a potential client with a requirement to generate leads, please get in touch. 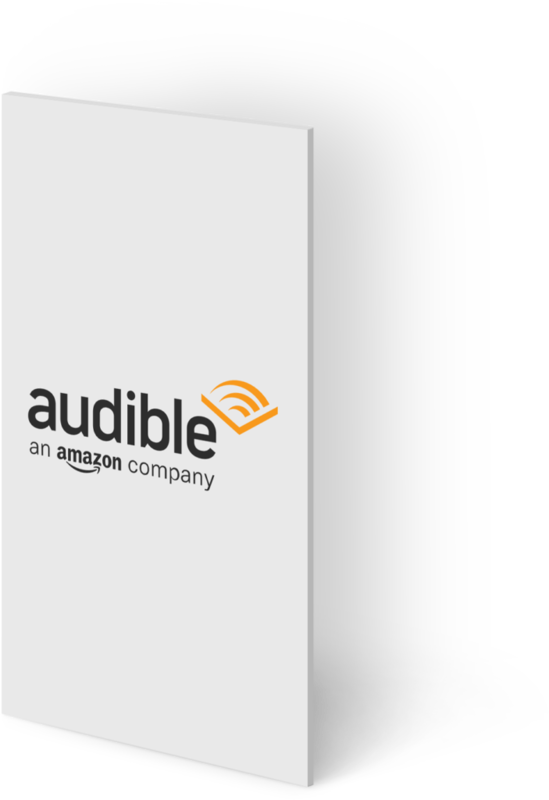 For more than 3 years, we’ve been the leading provider of leads and new customers for Amazon Audible via our premium email marketing partners. 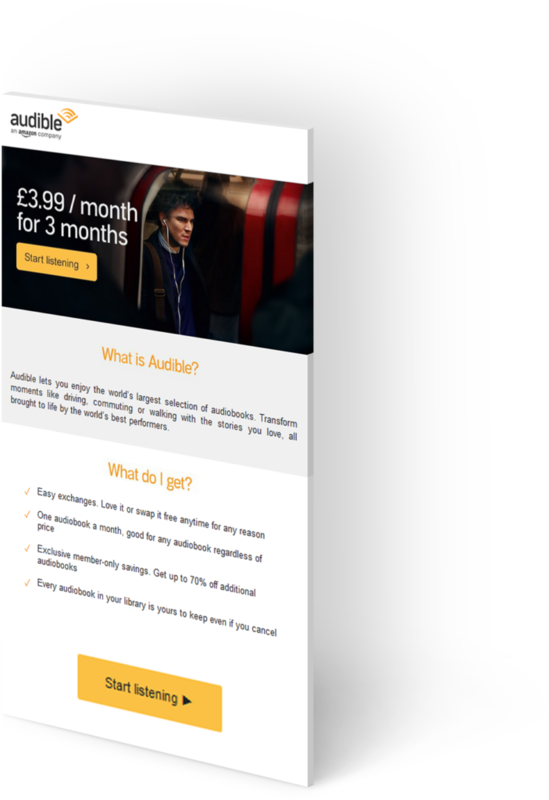 We worked closely with Amazon to create a compelling HTML email creative, clearly outlining the discounted offer. We shared the email partners details and due diligence form with Amazon in order for them to sign off and approve that they’re happy for the partners to email their users with the Amazon offer and that the consumers have clearly opted in to receive email marketing communications that include third party products such as Amazon Audible. We agreed a fixed CPL rate with Amazon, a very competitive rate allowed us to gain interest from the best quality partners. 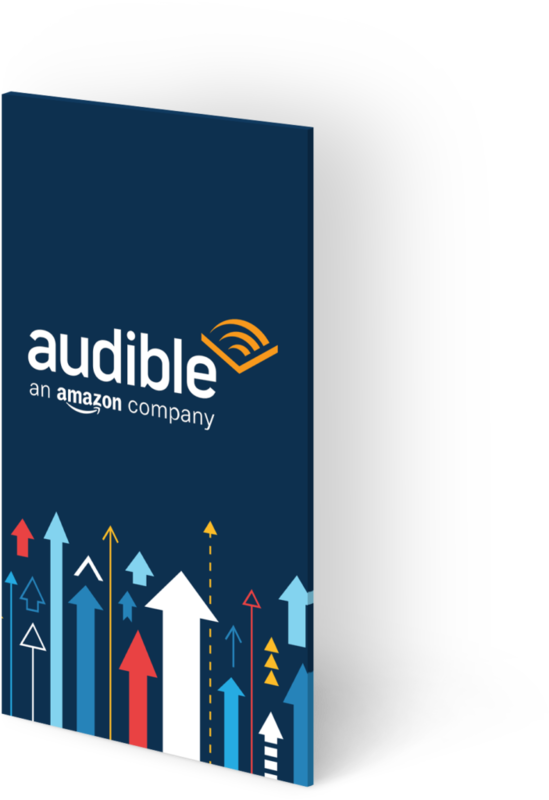 We consistently deliver 100s of new customers on the Amazon Audible product via our premium email marketing partners every month. Refreshing the creative elements, such as subject lines and HTML email creative has ensured the campaigns freshness, maintaining performance to a constant level. Amazon provide us with daily insight into the customers, confirming how many of the enrolled new subscribers have gone on to utilise the service. This allows us to optimise sources and continue to deliver good quality customers to Amazon. Working closely with brands such as Amazon is a real testament to the quality of customers we’re able to deliver via email marketing with Conectia’s premium email marketing partners.